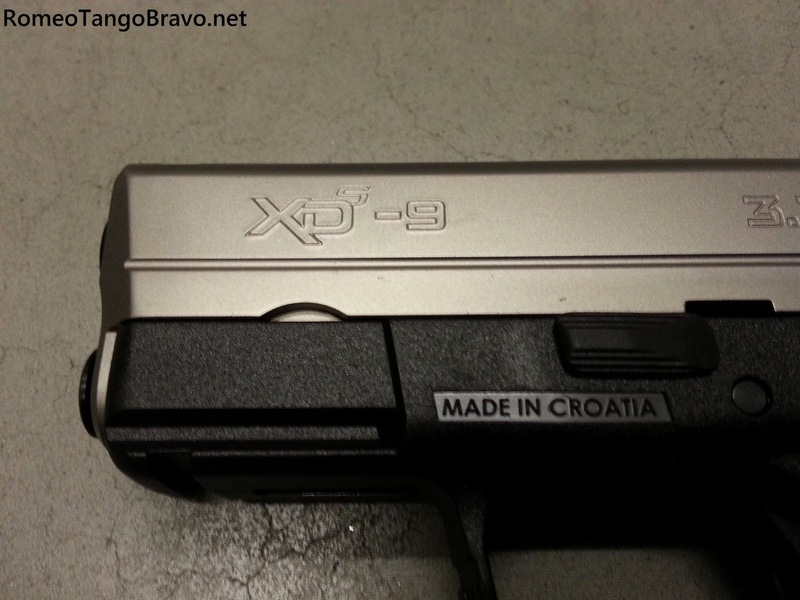 RomeoTangoBravo: Springfield Armory XDs 9mm Hits the Shelves! 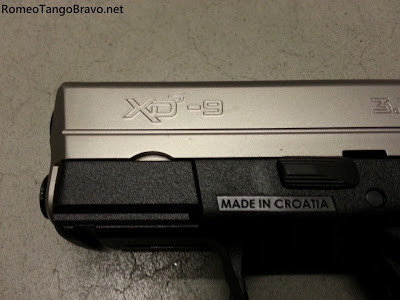 Unveiled at SHOT Show 2013 the Springfield Armory XDs 9mm is being touted by many as a S&W Shield killer. It's definitely an interesting little 9mm and on my short list. Sharing the same dimensions of the XDs 45ACP; the 9mm is just one ounce heavier due to the extra thickness of the barrel. 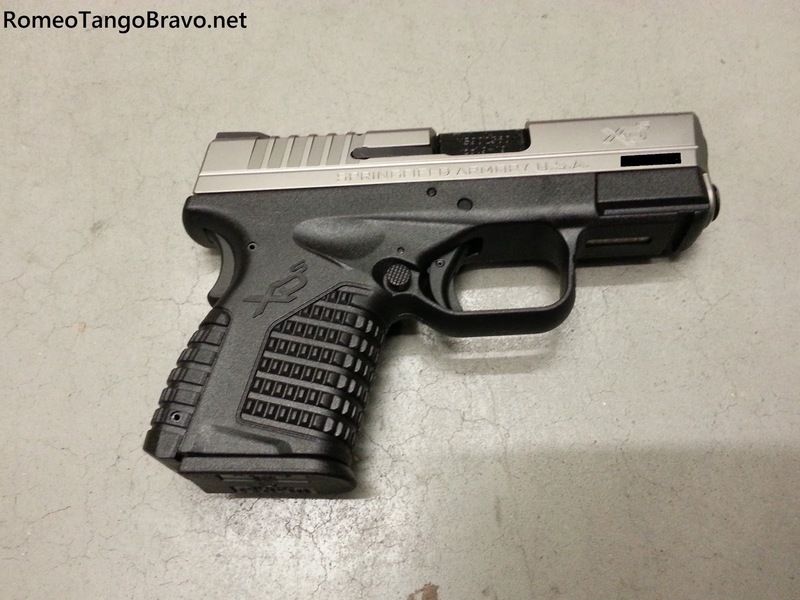 Another welcome addition is the extra capacity of seven rounds in the magazine compared to five in the 45. 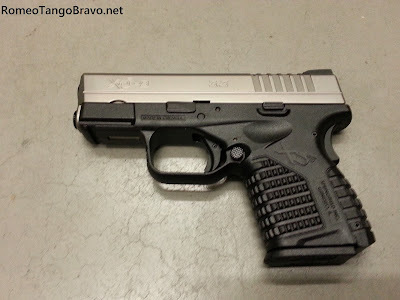 I will never own a pistol for the purpose of self defense that has a grip safety... I don't like that the shield has a safety either, but at least it stays put and for all intents and purposes isn't there. I have owned several XD pistols as well as others with grip safeties for a very long time. I have put thousands of rounds through them and none of them have ever experienced a failure with any of safety mechanisms. I have dropped them from the top of the refrigerator, from the back of the truck bed, etc... I wouldn't worry about the grip safety to much. If you are that worried get a bug revolver. How many times have you drawn your weapon and fired in a panic? From an awkward position? Why add complexity to the mix when it serves no purpose, even if it does work 99.999999% of the time?